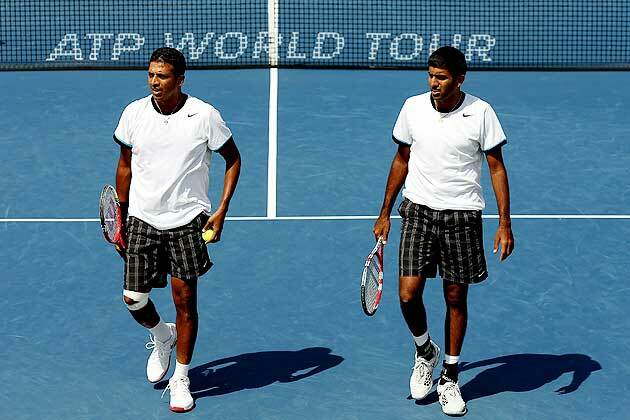 Cincinnati: India's Mahesh Bhupathi and Rohan Bopanna came up short against Robert Lindstedt and Horia Tecau in the men's doubles final at the Western and Southern Open tennis tournament. for the ATP World Tour Finals with their first Masters 1000 Series crown, ATP website reported. Lindstedt and Tecau are the third team to qualify for the prestigious circuit finale, to be held Nov 5-12 at The O2 in London, joining Bob Bryan/Mike Bryan and Max Mirnyi/Daniel Nestor. The Swedish-Romanian pair made their World Tour Finals debut last year. 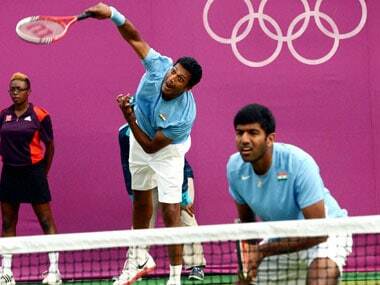 Bhupathi and Bopanna were bidding to lift their second trophy of the season after winning the Dubai Open in February. 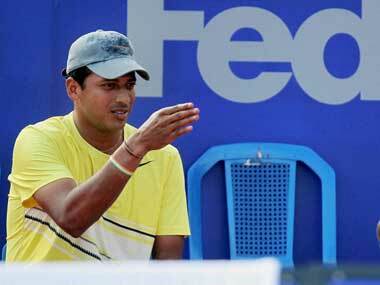 Bhupathi, a two-time Cincinnati titlist, fell to a 50-42 mark in tour-level finals and Bopanna to 8-13. In the final, Lindstedt and Tecau capitalised on three of their nine break points before closing out the 67-minute contest on serve. They had advanced to their second Masters 1000 final with victory over the top-ranked Bryan Brothers in the semi-finals. Lindstedt and Tecau were contesting their fourth final from their past five tournaments. They won titles on grass in 's-Hertogenbosch and on clay in Bastad, were finalists at Wimbledon and reached the semi-finals last week in Toronto. They have compiled a 19-2 mark during that stretch, taking their season record to 41-15. The duo also won the Bucharest title in April and were runners-up in Rotterdam and at the Madrid Open. Since joining forces in early 2010, they have won 10 titles together.